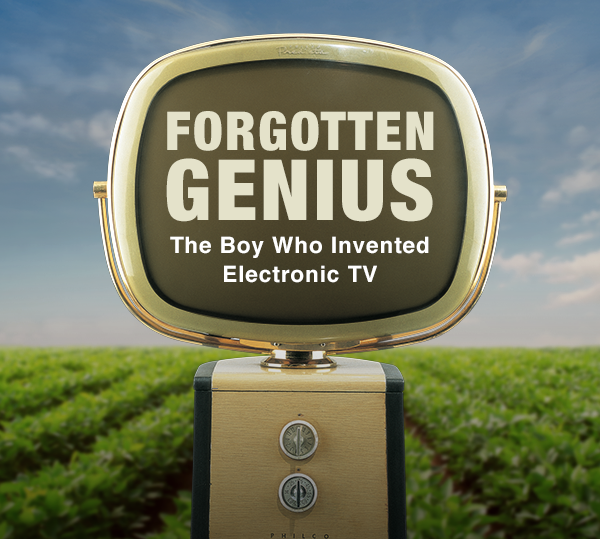 Join us for the premiere of Forgotten Genius: The Boy Who Invented Electronic TV – honouring the groundbreaking work of Inventor, Philo T. Farnsworth! Presented by the St. Michael’s College – the McLuhan’s intellectual home in the University of Toronto – and its popular Book & Media Studies program, in conjunction with several high-level academic and cultural institutions, a new series of McLuhan Salons takes place from September 2018 to April 2019 in different dynamic city locations further dissolving the boundaries of the university and the city in bringing the multi-disciplinary multi-practice approaches to bear made famous by Marshall McLuhan. In 1922, 14-year old Philo T. Farnsworth conceived the idea for electronic television while plowing a potato field in idaho. He had not yet been to high school … see his amazing story told through never-before seen films, photos & artifacts including the very first electronic cameras. Inspired by the innovative thinking of Marshall McLuhan, the McLuhan Salons series is committed to make McLuhan’s ideas step out of the university and into the city, to better understand who we are, what matters to us, and where we might be going in a networked and rapidly changing world. The McLuhan Salon series is generously supported by the William and Nona Heaslip Foundation.